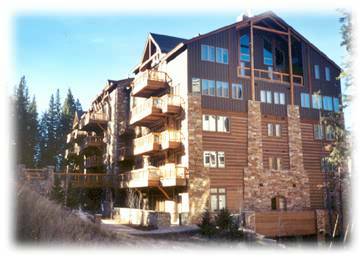 The Timbers on River Run is truly ski-in/ski-out with the highest of quality. The lobby with baby grand piano, granite fireplace and bar, outdoor to indoor pool, outdoor hot tub, outdoor fire pit, and complete fitness center including steam room and sauna can not be matched anywhere in Summit County. The Timbers on River Run is surrounded by National Forest and accessed along a private heated drive through the middle of towering 100 year old evergreens. The developers thought of every luxury a guest could want. (The penthouse condominiums homes on the top floors are worth several million). This spacious one bedroom has two complete baths, both with. Pets are NOT allowed, No Smoking. The master bath has a jetted tub. There is a Murphy bed and sofa sleeper in the living room adjacent to the stone fireplace. Granite counters in the kitchen and slate floor entry. 11 feet ceilings throughout. A huge deck overlooks the Snake River with a lighted path to Keystone's River Run Village full of shops, restaurants, and pubs. The free Keystone Shuttle will pick you up at the front door and take you to any area of the resort you want and bring you back when you want to come. To and from skiing, dinner, or shopping. Put your skis on out the back door and ski less than one block to the River Run Gondola. A place for your next ski vacation you will never forget!